Who Can Get a Birth Record? 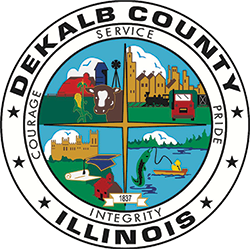 The DeKalb County Clerk’s office provides certified birth records for individuals born in DeKalb County. Due to the confidential nature of these records, only the individual or their legal parent(s) or guardian(s) may procure these documents, (410 ILCS 535/25). You may request a certified copy of birth records in person, by mail, or online. Order online! It’s fast, easy, safe, and convenient. Most orders are processed within 24 to 72 hours. This option includes overnight delivery. Click here to Order Online! When placing an order by mail, please make sure you use the download the Birth Record Request Form and return with correct payment. In the area and need the birth record today? Visit us in person at the Clerk & Recorder’s Office. We accept cash, check, and credit/debit payments. In order to get a birth record you must be the parent or individual of the record you are requesting. Use the information below to make sure you have everything you need prior to requesting a birth record. What ID do I need for a Birth Record? The County Clerk & Recorder’s office does not maintain birth records for those individuals who were adopted. Those documents are part of the State of Illinois’ Records. The Illinois Department of Health maintains birth records for individuals who were adopted. Please review the IDPh website and frequently asked questions section for common requests and for information on how to obtain your birth records.